Skiing and snowboarding are common winter sports. But for a real adventure, you should take a dog sled across the ice. Dog sledding might sound like something from the days of Jack London. But it’s still a popular recreational sport all across the world. Mushers and their teams of quick, powerful dogs race across icy landscapes every year. Dog sleds used to be the primary ways to transport supplies in the Arctic. But now it’s become an experience anyone can enjoy. You can either learn how to drive the sled yourself, or you can ride along behind the dog team. 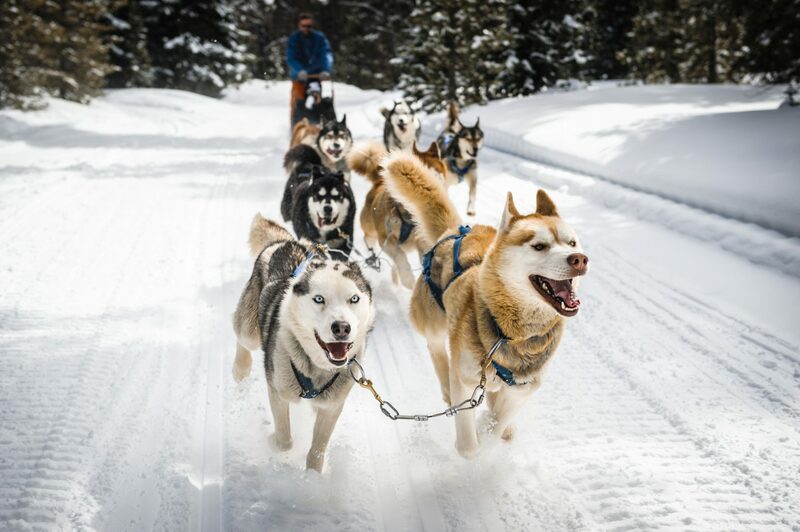 Whether you’re an avid musher or looking for a unique vacation, check out these places for dog sled tours. 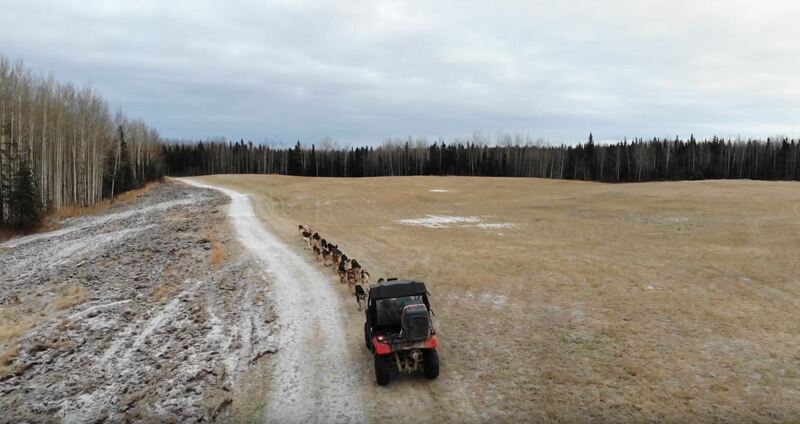 Alaska is one of the most popular destinations for dog sledding. It’s home to the annual Iditarod Trail Race, a long distance race in extreme weather. There are still wonderful dog sled tours in the offseason. But if you’re looking to challenge yourself, pack up and take the dog sled on a winter tour. Luckily we have a suggestion for your dog sledding desires if you’re looking for something in the winter check out our Winter Tours If you’re looking for something a little warmer we have some excellent summer options aswell. Yellowstone has 500 inches of annual snowfall and mountain trails. That makes it perfect for dog sleds. Yellowstone is home to over 200 species of animals, including deer, wolves, and bison. It’s also full of breathtaking views for you and your dogs to enjoy. Contact one of the many family-owned businesses to learn the basics of mushing. Some of these packages start at $75. 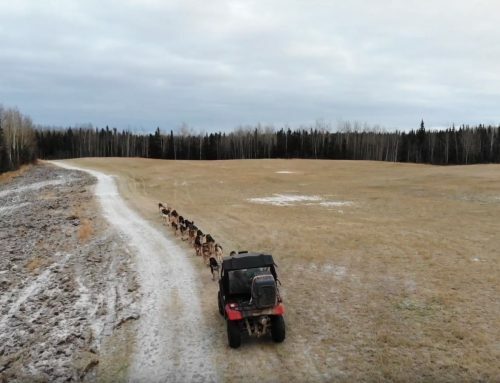 Advanced dog sledders can explore over 200 miles of nature trails. Because of cheap flights, countries like Norway are popular spots for international travelers. It’s also a wonderful destination for winter sports, including dog sledding. You’ll have an amazing opportunity to see the Northern Lights with your sled team. You can also explore the Norwegian countryside around Oslo and Tromso. 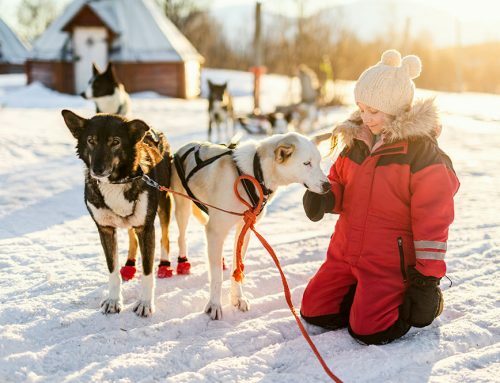 Norwegians love the outdoors, so it’ll be easy for you to find trails for dog sledding. Greenland is another country with a long history of dog sledding. As a landscape with natural glaciers, dog sledding was a vital part of transportation. 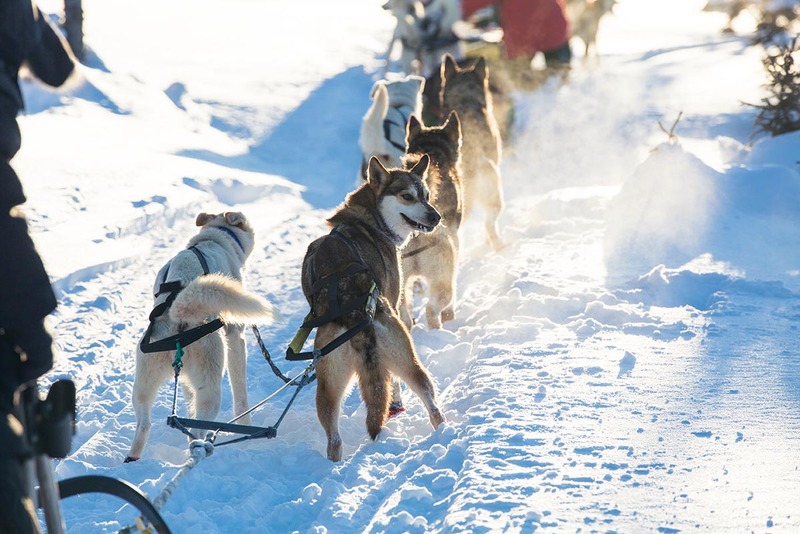 Today Greenland is home to dog sled races like the Avannaata Qimussersua. You can also ride around the icebergs in Western Greenland. 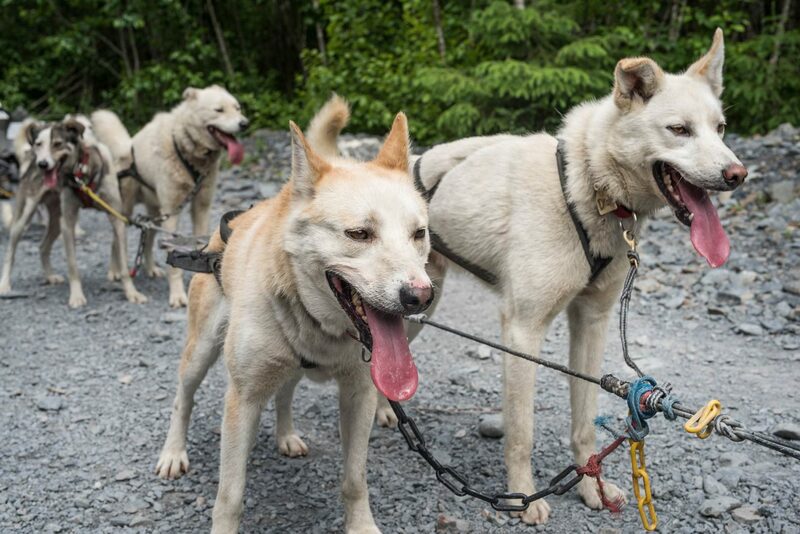 When you go dog sledding in Greenland, you could be sledding with Inuit mushers. They’ll be able to give you expert advice to get the most out of your trip. If you’re a beginner dog sledder and you live on the East Coast then you’re in luck. New York has two great locations for dog mushing on the weekend. You can go up to Lake Placid, the trails are not as intense as Alaska, but still lots of fun. 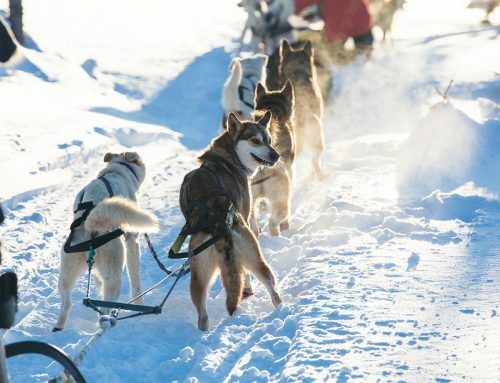 Ready to Book a Dog Sled Adventure? 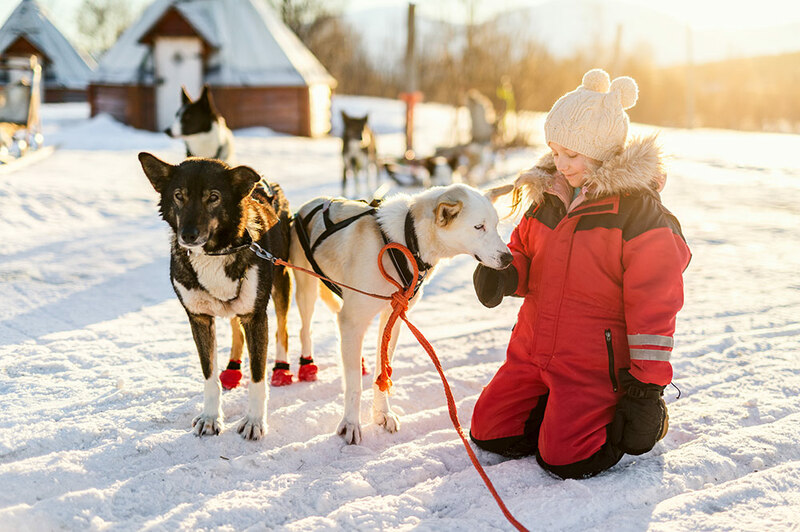 If you’re ready to dog sled, either as a beginner or an expert, there’s no better location than Seward, Alaska. Check out our tours page for information on tours and other fun activities. We’re here to make your dog sledding experience the best it can be.